Unlike many pests, stink bugs are mostly harmless. But when cold weather comes, stink bugs invite themselves inside, where they can quickly multiply and cause an infestation. If you're overrun with these foul-smelling intruders, call Horizon Pest Control today at 1-888-824-7860 for a free consultation. With more than 200 types of stink bugs in the U.S., there's no shortage of this common insect. These small, hard-shelled bugs, sometimes called shield bugs due to their distinctive shape, don't bite, sting or cause interior damage. They do, however, have one trait that makes them unwelcome: an unpleasant odor. What's worse, once they're inside it can be difficult to get rid of them. You might be tempted to crush stink bugs or vacuum them up in a flash. Unfortunately, doing so releases a fluid from a gland between their legs that creates their trademark odor – and that odor can last longer than you'd expect. Stink bugs dislike the cold, and they'll get inside by any means possible to find a more inviting habitat. Their narrow shape lets them climb through cracks in doors, torn screens and any other opening. It's also common for them to get inside by attaching themselves to your pants and shoes. Once inside, stink bugs can reproduce quickly. Females can lay as many as 30 eggs at a time, each of which will hatch in about four to five days. Because of this, one of the most common signs of a stink bug infestation is a large number of the insects grouped together on walls and around lights. You might also notice damage to plants, dead stink bugs in light fixtures and, of course, their unpleasant aroma. If you're experiencing a stink bug infestation, professional pest control is your best solution. 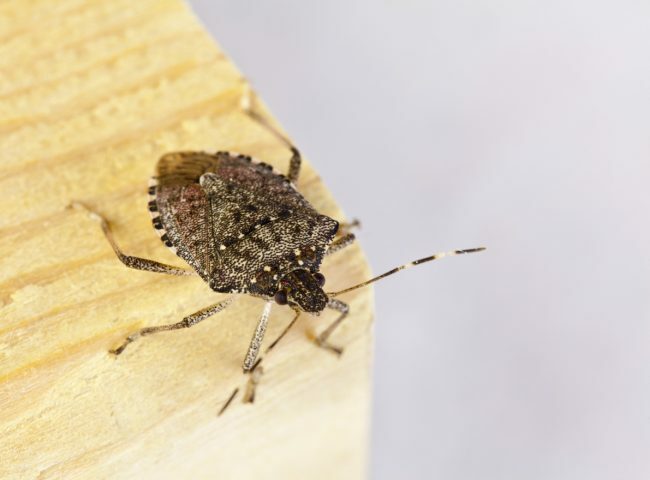 The experienced technicians at Horizon Pest Control can evaluate your property to determine whether or not stink bugs are the source of your problem. If they are, our team will eliminate all existing insects, plus perform an inspection to learn how the infestation happened and how future issues can be prevented. And because we guarantee all our work, if the stink bugs return, we will too at no additional charge. To rid your Northern New Jersey home or NYC commercial property of stink bugs and other pests, contact Horizon Pest Control. We'll provide a free quote to help you get started and offer fast, reliable and courteous service to keep your home or business free of stink bugs today and for years to come.